For a unique style to your home, why not think about installing our bespoke glass balustrades? Meeting and exceeding your every requirement, you can truly depend on our team to discuss all your needs and visions for the flawless look to your home. 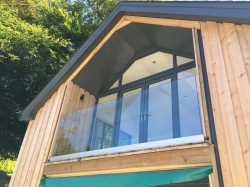 If you are thinking of installing a balcony or balustrade in your home, make sure to give the specialists a call today on 01239 711 140 for further information.